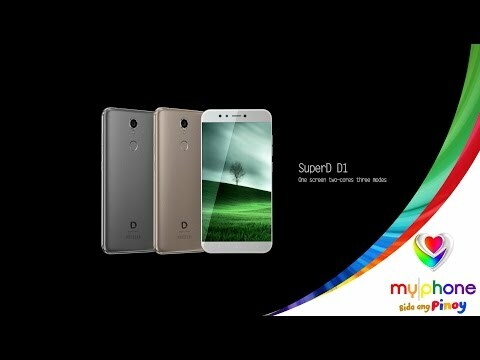 MyPhone in partnership with SuperD officially introduces SuperD D1 in the Philippines. A smart phone with Naked Eye 3D technology. MyPhone SuperD D1 will be available in Lazada Philippines starting January 30, 12 noon. Originally priced at P11,999, Lazada will be offering this handset for an introductory price of P9,999 (effective until the end of February). Apart from the 17% discount, each package will also include a free VR Zero Headgear. MyPhone SuperD D1 comes packed with Android 6.0, Marshmallow that enables you to multitask, customize screens and personalize other features. The 3D phone has the Mediatek MT6750T Octa-core ARM Cortex-A53 processor. Its capability of running all cores, produces a smooth delivery and high quality performance. Through its ARM Mali-T860 MP2 650MHz with SuperD 3D/VR rendering chipset architecture, it delivers a seamless action that never fails to amaze its user, switch through different windows without lags and shutdowns. The 3D/VR chipset is specially designed to accelerate real time rendering. It has a one stop 3D and VR content platform, allowing you to watch your photos and videos in a full VR experience. The SuperD D1 has a specially curated Lenticular lens technology enabling you to have a glasses-free 3D viewing experience, more so without compromising 2D Full HD resolution. With its high 400ppi LCD, you can view your content with a finer and clearer vision. What's more exciting, the MeiDou TV enables the users to experience a unique 3D/VR live streaming content. 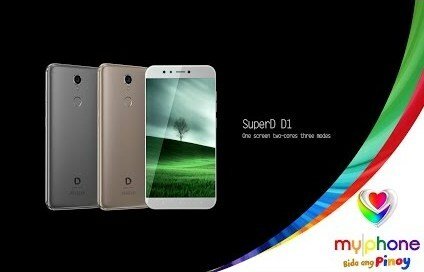 SuperD D1's 13-megapixel rear camera, AF, LED flash provides a blur-free and fast stills. It has a dedicated camera for eye-tracking, and the 8MP front camera makes an ideal gadget for Skype-ing and video calling with your friends and families. As our eyes constantly move, the dedicated front eyetracking camera works together with the built-in software algorithm to dynamically adjust perspectives enabling optimal 3D experience.